Method of Manufacture: Cast using genuine silver "Gros Petit" of Henry II (1285-1324 A.D.) to make the mold. No such coin type exists in gold. This is supposed to be a silver coin. No visible flow lines or any other evidence of being struck. Edges have been filed to create/exagerrate "flan splits." 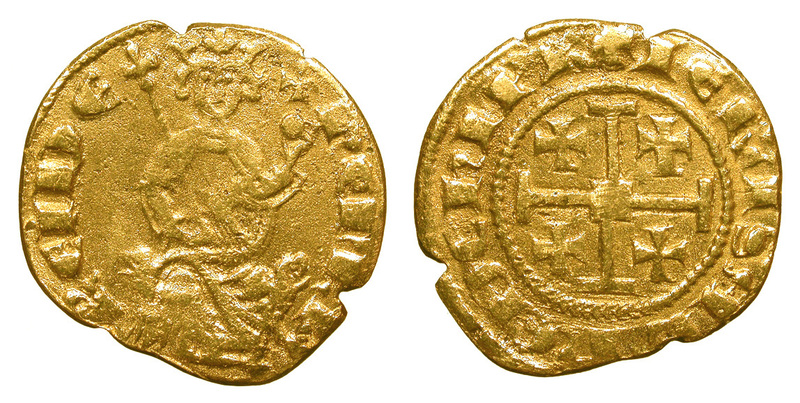 From same mold as Counterfeit Cyprus Henry II Gold Coin #1. Comments and additional information are welcome. Contact us below.